• There are 205 rooms and 86 suites. • Ciel restaurant on the topfloor, the Unkai japaneese restaurant, the Grand Cafe, the lobby bar, the Kavalier bar, and a health club. 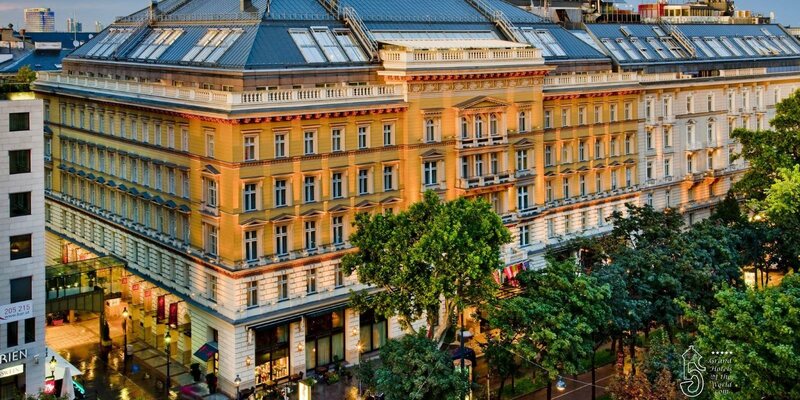 • Located in the city center close to the Vienna State Opera. • 1870: Opening of the Grand Hotel.